I am beginning to suspect that Darren is a closet knitter! He has a passion for old Stitchcraft magazines, which he claims he collects for image reference of a time gone by, but I think he might be a late night crochet master. 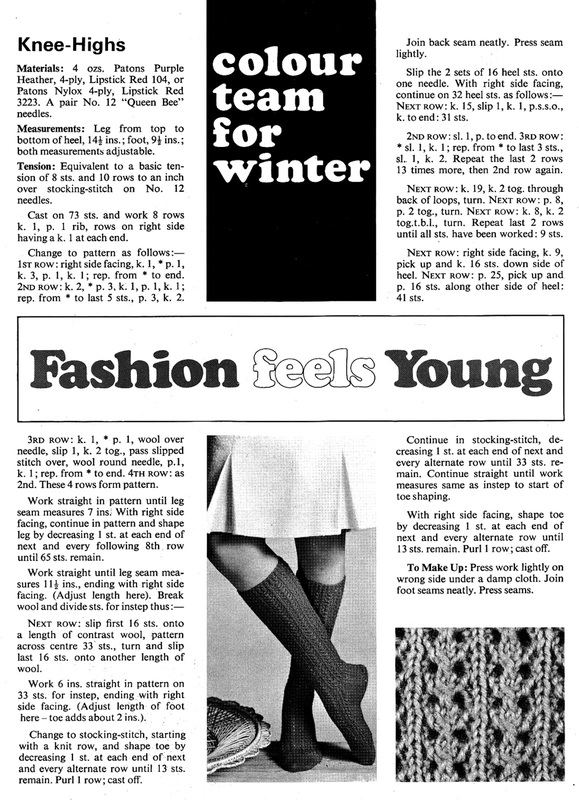 I was paging through one of his mags and found a pattern for these delightful knee-high socks. I am so clueless about both knitting and crocheting, but I am putting this out there for those of you who are not. I am embarrassed to say that I don't even know whether it is a knitting pattern of a crochet pattern, please inform me someone (that means you Penny). 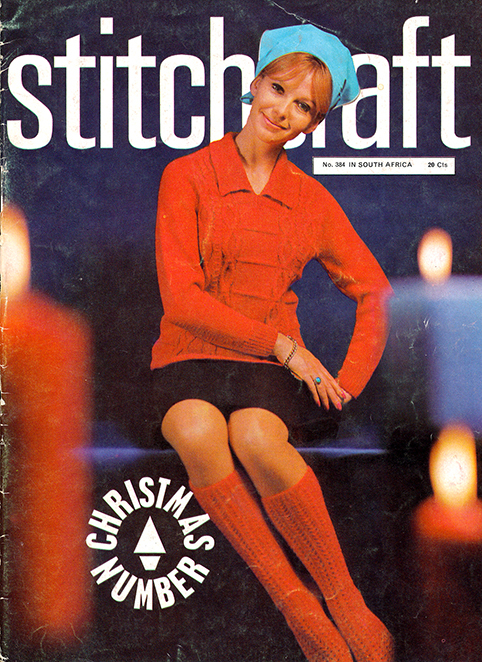 Anyway - I love the socks and think they would look amazing in red just as they appeared on the cover of the 1970's mag. I hope I have made the image large enough for interested parties to download and print. Its a knitting pattern my lovely. The clue is in the 'casting on' of stitches, when you crochet you make a chain of single crochet, there is no casting on. Oh, and in the material section it says that you need a pair of needles versus a hook! This is the biggest clue for non/new knitters.